Structured data markup was introduced to help Google and Bing to understand a website code smarter. It includes HTML elements which describe the content of a website in a format that is understandable to a search engine. The tags are derived from a database called Schema.org. A few years ago, major search engines joined together to form a database called Schema.org. The database contains a list of HTML tags which developers can add it to their website to make the job of search engines in identifying the content easier. As a human, it is easy for us to understand the content on a website, but bots are not as smart as us. This is why search engines needed extra HTML tags to describe the content on a website. No, implementing schema to a website does not involve any complex process. All you need to do it is to add few HTML elements to your website code. Once, the element is added, search engines will have a better understanding of the HTML code and can use the detailed information in other places such as Rich cards, Knowledge Graphs which results in a more click rate or more relevant search results. How can I add Structured Markup to my website? Find the correct schema category from the schema database. – example: if you own a vehicle listing website use the Vehicle tags . Once, you have identified the relevant schema type, the next step is to add it to your website. Adding the JSON format makes it easier for crawlers since they can easily identify JSON content on an HTML page. How many types of structured data do exist? Currently, 7 main parent types of structured data exist. Each of these has many more child categories. 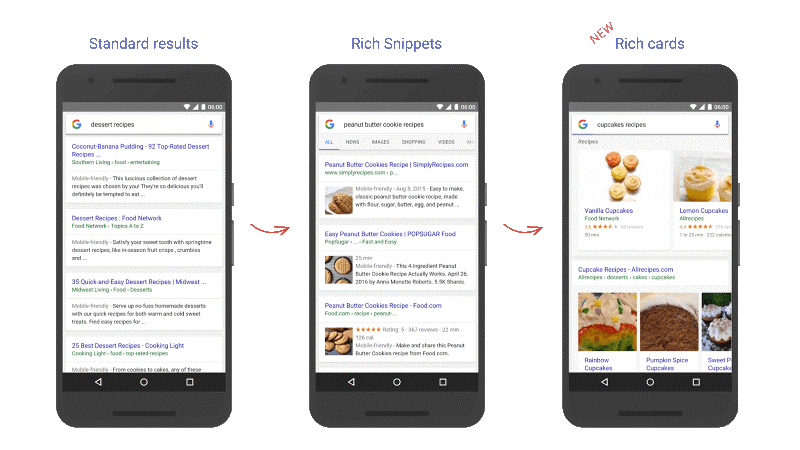 Does Structured Data have an impact on organic search results? No, Google has clearly mentioned that structured data does not have any impact on organic search results, but it does on click through rate. Since structured data helps your website content to be displayed on Rich results and to be used in Knowledge Graph it is more appealing thus results in higher clicks. Certain types of structured data such as recipes, articles, and video will appear in Rich cards. Rich cards are rectangular boxes which displays information from the structured data in a much more engaging design on the search results pages. How can I test my structured markup code? Google provides a free testing tool. It allows you to paste the content directly or let it fetch the code from a URL. Once, it has analyzed the data it will display a list of properties it has found. Structured data are worth implementing. They improve your website quality and it gives you an advantage over your competitors. It will also use the structured data content in Rich cards. It is good to add as many structured fields you could since this helps Google bot to understand more about your data. Incorrect markup type will not result in a penalty but always test your markup ! If you are curious to know if Google has identified any structured data on your website, you could find out using the Structured Data index status on Webmaster . Adding JSON format structured data is the preferred format for Google. If Google has not detected structured data, try submitting the page with structured data to Google. 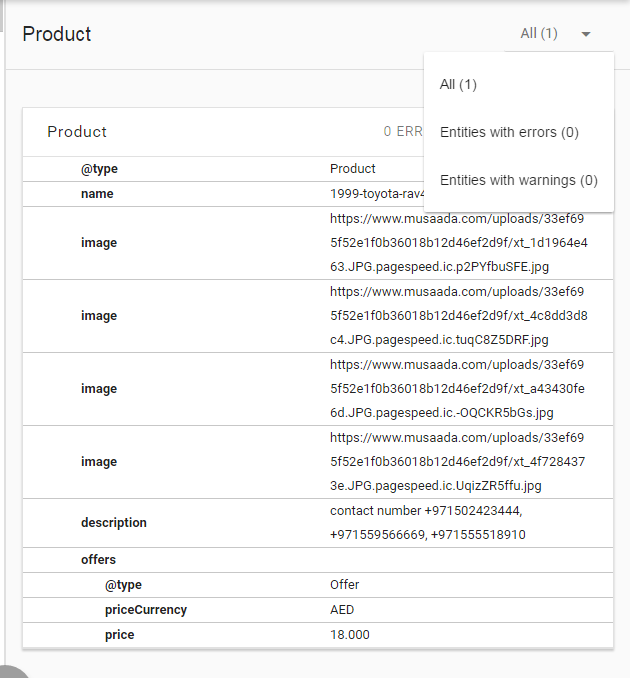 Structured data also exists for Images!